It was today, August 17th, many years ago that my life changed forever. It was the day the skies went grey; the day they were bruised with shades of pain and anguish. The day where pain flooded the depths of my heart so harshly that breathing was merely an option. It was the day that gave space in my heart and mind to an array of unwanted questions and thoughts. August 17 was the day I last saw my sister this side of heaven. It was day that has forever been etched in my heart as the day that changed it all for me, my family, and our community. Today, my heart aches in reminders of my sister’s laugh, her tender touch, her constant care and all that could’ve been. Today reminds me of all the pain and chaos that entered our lives on that day. August 17 reminds me of going to bed each night hoping to wake up each morning from the horrible dream I just lived through. Although today is a reminder of what we lost, it is an even greater reminder of what we gained. We gained a greater desire for Hope. We gained a greater desire for eternity; a longing to see her again in the presence of Jesus. Today makes our hearts tethered to heaven that much more. Today reminds me that we do not mourn as those who do not have hope, but instead, we mourn with confidence that our hope is anchored to heaven. We mourn rejoicing in the undeniable truth that our light and momentary troubles are achieving an eternal glory that far outweighs the deep aching on this earth. Today reminds me that our pain is not wasted. It reminds me that what Satan intends for evil, God uses for good. It reminds me of the victory and power of the cross. It reminds me that Jesus trampled death in its entirety with outstretched arms and a crown of thorns. Today is not my favorite. But today is by far one of the greatest reminders that heaven is real and that heaven is closer than it was yesterday. It is a reminder that my heart yearns for the shores of forever more and more with each day that passes. Even though the earthly pain never truly subsides, my comforts rests in the truth that God uses all things for good. The remnants of August 17 weaved together a narrative far greater than one I could’ve written myself. It reminds me that God takes the broken pieces of our hearts and hems them together into a tapestry of hope; a tapestry far more beautiful and precious than anything I could’ve ever threaded myself. I honestly believe one of the reasons why God doesn’t give us the full picture of our lives is because if He told us what we would have to go through in order to get where we want to go, we would say no. But I’m beginning to understand that there are many experiences we must endure so that we can be who God has called us to be. They are not always easy. “Endure hardship as discipline; God is treating you as his children. For what children are not disciplined by their father? If you are not disciplined—and everyone undergoes discipline—then you are not legitimate, not true sons and daughters at all. Moreover, we have all had human fathers who disciplined us and we respected them for it. How much more should we submit to the Father of spirits and live! They disciplined us for a little while as they thought best; but God disciplines us for our good, in order that we may share in his holiness. No discipline seems pleasant at the time, but painful. Later on, however, it produces a harvest of righteousness and peace for those who have been trained by it. We must understand that there is so much purpose in our pain or discomfort. For example, I’m coming out of a season where God revealed areas that I needed to work on and He also brought to surface a lot of root issues. For example, I didn’t realize I dealt with shame. I didn’t know I struggled with placing my identity in my performance and I didn’t realize I had a problem with fear. Going through this purification and cleansing process where I needed to repent of my sin, and ask God for forgiveness and the wisdom to overcome insecurities was painful. But I know that I needed it in order to walk in my calling. Here’s another example. I volunteer with a Christian nonprofit that helps churches serve families in crisis inside local hospitals. When I first started volunteering with the organization, I was very frustrated because there seemed to be a lot of disorganization. Not only that, but the organization did not have a ton of help or people who would be able to dedicate their time to helping the organization grow internally. It was 100% volunteer ran. Needles to say, but there were many times when I wanted to quit because the work was exhausting. And if I’m being super honest, my pride convinced me that I knew more than the leader and founder of the organization, and the Holy Spirit had to check me on that over and over. But I knew I couldn’t stop serving. This Christian nonprofit had a mission and purpose, and I couldn’t just leave them hanging when they had no one who was willing to help. Looking back, I know that had to be God’s grace that led me to continue serving with the organization because there’s no way it was me on my own. It wasn’t until almost two years later that I realized why God placed me there. For sure, it wasn’t to make my med school application more competitive. God was teaching and is still teaching me resiliency and endurance. He also taught me humility. And then God took it deeper and used that same founder to share more insight. That was such a humbling moment for me! I realized had I not stuck through the process, I would have never learned these principles. Had I given up, I would have missed out on my blessing in the form of growth and maturity. And I’m willing to bet that there are some areas in your life where it may be the same for you. Sometimes, we give up too easily. We allow our feelings or discomfort to drive our decisions. But we have to discern when it’s time to stay rooted in the things that God has called us to. Sometimes, we like to blame the enemy for things that are uncomfortable without realizing that sometimes there are impurities on the inside of us that must be addressed. When you find yourself frustrated or discouraged, fix your eyes on Jesus because your perspective is important. When you understand that God is only disciplining you or refining you because of His love for you, you will be able to endure pain or discomfort with a new level of confidence. There is a reason you are going through what you’re going through because there is no purpose without process. God is going to use everything that you have – your gifting, your talents, even your weaknesses – because He’s the one that placed it there. He’s strategic like that. He knows what you need in order to fulfill the purpose or call on your life. And sometimes, it doesn’t make sense. Sometimes, you’re not going to understand. But God is so gracious. His strength is made PERFECT in your weaknesses. Through Him, you have the courage to love through pain. The strength to serve when you’re exhausted. The boldness to keep going even when you have no idea how. You just have to trust that He already has it worked out. You have to trust that His plan for you is better than anything you can conceive. Yes, it’s uncomfortable. Yes, it hurts. But be okay to sit in the discomfort. Embrace it. Welcome it even! God will be with you every step of the way. He won’t leave you or forsake you. He actually already gave you the victory. So pray and worship! Thank Him that He has put you in a position to receive His best! Thank Him for the healing because it’s already yours. Don’t lose faith. God has the final say! He’s not finished yet. Loved reading this post? Let me know what you think by stopping by my page on Instagram, and tell me some ways you plan to choose purpose over discomfort. I would love to get to know you and hear your thoughts. Have you found yourself in seasons of life where you felt inadequate or unprepared? Perhaps you questioned what God was calling you to do and whether you should do it. Well, I’m with ya! So many times in my life I have I stood on the platform God has given me, scratching my head in disbelief wondering why He chose me? I’m not good enough. I don’t have enough experience. I’m totally unprepared for this. Don’t you know God where I’ve come from? These are all thoughts that have circulated through my head more times than I can count. Lately I’ve been reminded of Esther from the Bible. If you’re not too familiar with her story, here is the super condensed version in a nutshell. She was an orphaned Jewish girl who became the Persian queen and was used by God to deliver the Jews (I know, that’s a lot packed in one sentence!). This girl had all the odds stacked up against her, yet God chose her despite who she was and where she came from. As I read through the book of Esther, her story is one of great obedience and sacrifice at all costs. God is calling us to move forward obediently so that He can work miraculously. Her story not only proves that God will show up in all circumstances, but it proves that it doesn’t matter who you are or where you’re from, God can and will use you to further His plan. What is it that we can learn from Esther’s great story? If Esther would have remained silent, God would’ve used someone else; deliverance for the Jews was inevitable, however, He desired to use her. Her silence would’ve equated disobedience. Instead, she obediently stepped in her God-sized role and in doing so, God used her in furthering His plan for the Jewish people. How many times have you found yourself in a similar situation (minus the whole Queen of Persia gig)? I remember when God called me into girl’s ministry, I basically went in kicking and screaming because let’s be honest, girls can be emotional (sometimes) and the last thing I wanted was to sit through a cry fest every time we met (or so I thought). I cringed at the idea of a bunch of girls gathering to discuss their issues. That was so foolish of me. I was so close to saying no, yet the pull from God was too heavy for me to ignore. And I’m glad I was obedient to His call in my life. The last few years of working in girls ministry at home and overseas has been an incredibly fruitful one and I have had the opportunity to witness God move in indescribable ways. God is calling us to move forward obediently so that He can work miraculously. Don’t stay silent when He tells you to speak. Don’t stay still when He tells you to go. Say yes. Don’t hold back the deliverance that lies ahead because of the insecurities that lie within. God can you use despite who you are and where you came from. Esther was positioned Queen despite the fact that she was an orphan and a Jew. Who you were and where you came from was held in high regard doing that time. But what God wanted to accomplish wasn’t contingent upon who she was. God doesn’t care where you came from or whether you have enough experience. Allow God to weave together the fabric of your background into a platform of redemption, into a story of praise and into a mountain of a miracle. God can and will use you to carry out His mighty plan. He wants to use you greatly despite who you are. Period. End of story. Esther felt the burden of her people and was determined to champion their deliverance despite where she came from. In the same way, God will use you strategically in carrying out His plan. Let him use you. Don’t hold back the deliverance that lies ahead because of the insecurities that lie within. What we deposit here and now doesn’t require a royal position or a stage, it merely requires obedience. If you’re a parent clawing your way through the days sleep deprived and exhausted know that it is for such a time as this. If you’re single, rock this season for Jesus pointing others to Him for such a time as this. If you’re broken, allow the pieces of your heartbreak to work together for God’s greater purpose for such a time as this. For such a time as this has He positioned you in this very season so that you and others can have a divine encounter with Him. For such a time as this He is calling us to charge the gates of Heaven with greater passion and purpose because people’s lives depend on it. What we deposit here and now doesn’t require a royal position or a stage, it merely requires obedience. The time to live intentionally in the position that you have been placed in is now. God is calling you to do what He wants you to do despite your fears, exhaustion, worries, or personal background. And He wants you to do it NOW. Step into your Esther-sized calling confidently and boldly because God is going to use you radically for SUCH A TIME AS THIS. Over the last few weeks I’ve spoken to so many people who are walking through a difficult time in their life. However, a common theme seems to be the root of it all. Anxiety. Worry. Fear. Ugh, how much I hate those three. If you’ve ever experienced any of those on any level, then you’re in good company. They’re the worst. Together, they’re the ultimate triple threat. Apart from each other, they’re just as bad. They suffocate you, steal your joy, and take over your life. My run in with anxiety has been one that lasted longer than I would’ve hoped. As I have overcome much of it, it’s still an ongoing battle, but one that no longer has power over me. So here I am, sharing a glimpse of my story in all its vulnerability and authenticity as I possibly can with hopes that someone, somewhere could find even a nugget of encouragement. It was about six years ago when I was Honduras on a mission trip that my life soon took a sudden sharp turn for the unexpected as I experienced the first of many anxiety attacks. I had experienced an out of body moment that I will never forgot. In the midst of getting ready to have dinner with the team, anxiety swept over me like a tidal wave. I was drenched in this state of immediate worry, fear and anxiety. I can’t explain why or how. In that moment all I remember was telling myself not to close my eyes because I knew I would pass out. Years before this happened, my older sister passed away in a car accident, which launched me into a constant state of worrying. My worrying turned into fear and my fear turned into intense anxiety. The anxiety attack came and lingered for longer than it was welcomed. Then, a few days later as I stood on the soccer field cheering our teams on, it happened again. But this time I was convinced I was dying. All of a sudden I felt like I couldn’t breathe. Everything started spinning and I couldn’t stop shaking. Some of the guys carried me to the car and threw me in the back seat. As two of my friends held me, my friends raced the car back to the house we were staying at. I remember once we arrived, laying in bed, breathing heavily and shaking uncontrollably. I came home and spent the summer with anxiety attacks becoming part of my daily routine. As worry and fear crept in more each time, I had myself convinced that I was going crazy. I even convinced myself that I needed to check myself into a hospital. I spent nights on end awake with my mind racing a million miles a minute. I was anxious and worried about everything and anything. My heart constantly pounding and my palms sweating. I would pace back and forth from one corner of the room to the other hoping to “shake it off.” Those restless nights suddenly turned into weeks of no sleep; I felt trapped inside my own mind and body. I felt like I hit rock bottom. I couldn’t sleep. I couldn’t eat. I was falling apart in every direction. Surrender the uncontrollable to the only One who has control. Give it to the One who has conquered death on the cross. It was one of the worst times in my life. The thing about anxiety is that you feel like you can’t escape it; you feel confined. You’re always anxious about something for no reason whatsoever. You want to get away, but have no where to get away to. The fear and worry accompany it and overwhelm you out of nowhere and you find yourself in a constant state of panic for no reason. It’s the worst feeling. Ever. Ever. I still deal with anxiety on a certain level, but not to the extent that I did initially. It took me quite some time to get through the darkest parts of it. Not that I have mastered it by any means, however, I have learned to navigate through it in many ways. So if you find yourself in a situation similar to mine, what do you do? Apart from everything else, that’s really the best advice I can give you. It’s really all I’ve got honestly. It took me a while to get to where I am today. It was by no means an easy detour to maneuver through and I still experience it from time to time. If you’re experiencing something similar in your life, know that you cannot overcome it on your own. It is humanly impossible to do it on your own. That should be bring you some comfort knowing that you are not alone in this battle. The only way to overcome it is to give it to Jesus and trust with every ounce of your being that He WILL take care of it. Even when you feel like you can’t take it anymore, give it to the One who has taken it all on the cross. When you feel like the gravity of it all is too heavy of a burden to bear, give it to the One who can bear it for you. When you feel like you have hit rock bottom, give it to the One who experienced rock bottom in your place and now is exalted in the highest. Jesus will carry this for you. Sometimes it feels like you don’t have any control over it. And to be very honest, you don’t. But God does. He has complete control over your situation. Don’t lose hope friends. Don’t despair. Don’t give up. Surrender the uncontrollable to the only One who has control. Give it to the One who has conquered death on the cross. With my world crumbling as I knew it, I started memorizing scripture and keeping it close to my heart. Each time I felt an attack coming on, I started reciting God’s word out loud. You see, God’s word has the power to extinguish darkness. Ephesians 6:12 says “For our struggle is not against flesh and blood, but against the rulers, against the authorities, against the powers of this dark world and against the spiritual forces of evil in the heavenly realms.” The battle isn’t against our flesh; the battle is against the one who is trying to destroy our flesh. And one of our greatest tactics against this is God’s truth. God’s word has victory over your situation. Use it as your most powerful weapon to combat the lingering darkness in your life. Speak life and truth over your situation with full confidence that your triumph is on the horizon. The only foothold your current situation has over your life is that foothold that you allow it to have. Anxiety is a lie. Worry is a lie. Fear is a lie. They are ploys from the devil to steal our joy. They are a plan to rob us of our livelihood and to deteriorate our lives. Do not give in to these lies. Stand firm in the promises woven all throughout God’s word. Keep His word close to your heart and use it as your strongest strategy against these untruths. I’m not sure where you find yourself currently. But what I do know is that your situation does not have victory over your life. The only foothold your current situation has over your life is that foothold that you allow it to have. Say NO in the name of Jesus and declare His promises over your life. I can say without a shadow of a doubt that Jesus can and will give you the strength to get through it. He is there every step of the way. If you’re experiencing an uncontrollable circumstance currently, know that God has it under control. Rest in the fact that Jesus has conquered darkness once and for all and Satan’s lies do not have dominion over you. Take refuge in Jesus who reigns supreme over your circumstance and trust with full confidence that He will bring the victory. Do you ever feel like sometimes you don’t understand what the heck is going on in your life? It’s almost as if you feel like you’re being punished and you have no idea why. Or maybe you’ve been waiting on God to fulfill a promise in your life, but your waiting feels like ages. Or maybe you feel like you’re wandering in the desert and have lost all hope. I’ve just checked off the ‘all of the above’ section in my head like a pro. Yup. Been there. Well, you and I are in good company. A whole people group shared the same sentiments actually. The Israelites felt the same exact way after they were freed by Pharaoh. God had perfectly orchestrated their exodus by making it appear as if they were wandering aimlessly in the desert. He purposefully hardened Pharaoh’s heart so he could change his mind and go back to capture them once again. It was all in God’s handcrafted plan so He can execute their deliverance, yet it made no sense to the Israelites. But God showed up. Just as He promised and just as He always does. And the midst of the impossible, He did the impossible. Can you imagine their anguish when they reached the shore of the Red Sea? I don’t blame them because, hey, if I was being chased by Egypt’s best soldiers with no way out, I too would freak just a bit. They probably thought that this was the end of their existence. But God showed up. Just as He promised and just as He always does. And the midst of the impossible, He did the impossible. In His grand finale, God parted the Red Sea and *cue their deliverance. * He made a way just as He promised. If you’re constantly looking back, you will miss the miracle that lies ahead. The problem wasn’t that they were being chased, the problem was that they were wavering in faith. Their eyes were fixed on the physical instead of the spiritual. They saw their situation through the lens of human eyes rather than through the lens of faith and the supernatural. They were too focused on the situation at hand rather than on God’s continuous promise. They were riding the heels of the greatest exodus in history, yet they constantly looked back questioning God and doubting His faithfulness. And often times, we too are like the Israelites. Doubting. Questioning. Wavering. As we focus on our current situations charging and chasing us, we fail to see that the miracle is on the horizon. Consequently, we wander around the desert of our hearts and lives forgetting all that God has promised. God is always at work even in the craziest, makes no sense, there’s no way out, this is absolutely impossible situation. It’s during those times that we must lean into Him more than ever and trust that He will provide the way. Without wavering faith, we must cling to His unending promises. And as He whispers, ‘I will fight for you just be still,’ stop and wait for the Red Sea miracle to happen in your life. I don’t know about you, but I have walked through some pretty difficult seasons in my life. I have also witnessed friends, family and others around me navigate through the same uncharted waters. Those seasons surfaced many heart wrenching moments, moments of doubt, moments of confusion, and moments of great questioning. After my sister passed away, the aftermath I faced was too difficult to bear. Being younger, I didn’t understand and I couldn’t comprehend the fact that things would be “ok.” The remnants of her loss launched me into unbearable seasons, from depression to constant anxiety. However, God has given great victory over those seasons since and I can testify that our pain is not wasted. …prior pain cannot prepare you for future pain. All this current tragedy, along with past pain, has solidified one thing for me: prior pain cannot prepare you for future pain. Pain is pain my friends and loss is loss. The emotions, tears, anger, all of it, is all too real each and every time. No one ever masters the “art” of enduring pain- if there ever was such a thing. Each time presents deep and raw emotions. So what do we do during this difficult time? I’m sure that real comforting for you, right? But, before you totally question my doctrine, keep reading. I, by my own strength and might, have no idea what to do. But God does. I have no idea what will come from all of this, but God knows. I have no idea what tomorrow will look like, but God has the future already penned out. Rest in the joy and victory of the Cross. And although we may experience tragedy and loss here on earth, our hearts are anchored to the Hope that is Heaven. By our own means, we have no idea. Our finite strength and minds cannot comprehend, however, God is great and only He truly knows. As we seek for answers, ask why, and try with every ounce of our being to find nuggets of hope through it all, we turn to Him. As I reflect on my sister’s passing and all the hurt around me, I am not only reminded of what we lost, but reminded of what we gained. We gained a greater desire for eternity. I am reminded that our hearts are tied to heaven that much more. And finally, I am reminded that whatever Satan intends for evil, God will use for good. Friends, whatever you are walking through, rejoice in the undeniable truth that “our light and momentary troubles are achieving for us an eternal glory that far outweighs them all.” Find comfort in the unchanging promise that God always works out all things for our good and for His glory. Rest in the joy and victory of the Cross. And although we may experience tragedy and loss here on earth, our hearts are anchored to the Hope that is Heaven. Before you start “kissing dating goodbye,” fall into a deep (or deeper) dark hole of depression and resort to consuming endless gallons of chocolate ice cream, we need to talk. Listen, being single is NOT the end of the world. It’s not. This whole singleness gig can be a tricky and, often times, a frustrating voyage to navigate through. With tons of self help books to choose from and countless Christian cliches to get you through your next “I won’t be bringing a plus one to your wedding” conversation, it can be quite the annoying season to live out. I know. It is by no means easy when everyone around you is celebrating all things bridal and you’re basically hanging on by a prayer and clinging to Jeremiah 29:11 all day e’ryday. Just stop. It is time we stop feeling sorry for ourselves and grumbling about what we hope for but yet do not have. We are the best at throwing ourselves the ultimate pity parties. They may be fun for a while, but they don’t do us any good. And let’s be real, no one really likes hearing all the singles complain about being single. I once was stuck in this ‘woe is me because I’m single and what’s the point of even living” phase and it not only sucked the life out of me, but annoyed everyone around me. In my pouting, I could never find myself ‘happy’ because my life seemed to be over as I knew it. That’s pretty dramatic, I know. But when all your friends (and I mean allllll your friends #bridesmaidx14) get married, what is there left to do with your life but to fall into a deep hole of whining. A few pep talks and some carbs later, I realized that I needed to change not only my attitude, but position my heart more towards God. My Negative Nancy attitude (sorry to all the Nancy’s out there) wasn’t going to resolve anything, but most importantly, I wasn’t living out my best life because of it. As I learned to change my outlook and perspective on my singleness, as well as posture myself more upright before The Lord, I began seeing this season as a gift to be used for eternal greatness. Constant cries filled the room as I stood there holding the most beautiful brown haired, black eyed baby. Cold concrete walls and floors caving in around me. My heart ached as I realized the pain that plagued the rooms of the orphanage I stood in. Many of the children too young to even comprehend the reality surrounding them, while others knew exactly that the classification of “abandoned and orphaned” would forever identify them. So many innocent lives desperate for someone to call them their own, yet no one willing or available to do so. There she stood. Helpless. Hopeless. And in utter desperation. The issue she had lived with her whole life had completely consumed her. It was the very thing that robbed her of her livelihood. In the Gospels we read of this woman with a very serious issue. An issue that persisted for twelve long years; constant bleeding. We are told that she sought healing from doctors, yet she didn’t get any better. I’ve found myself in situations where I’ve attempted many remedies for uncontrollable circumstances, yet hope, healing, and peace was no where to be found. I’ve found myself in moments so low that I felt knocked down and unable to recover. So what do we do in moments of desperation? We all have something in our life that terrifies us. For me, that thing was turning 30! And anyone who knows me, knows that I was practically on the verge of a meltdown because of it. I spent the last decade of my life planning how I would so magically usher in this dreaded age (married with kids and all, of course). As I inched my way towards ‘the day,’ (cue the horror music) it had become the worst birthday ever. I had anxiety over this day. It was all I could think about. All day, everyday. My life was over as I knew it. All this fear because my reality hadn’t aligned with my ‘dreams.’ There were specific things I had waited for my whole life that hadn’t been fulfilled yet, and the thought of turning 30 without those things threw me for a tail spin. 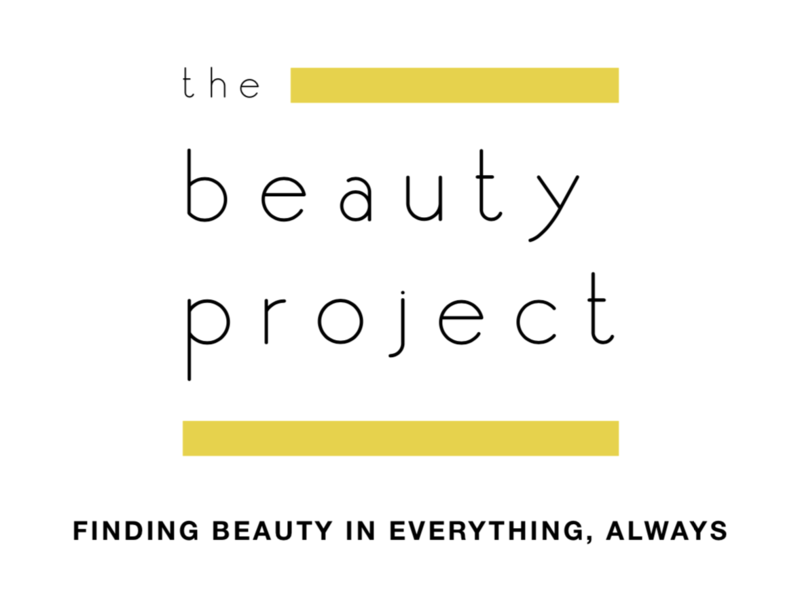 Click to follow The Beauty Project and receive notifications of new posts and updates by email. Weekly devotionals coming soon!